A nice lacy slouch is the perfect fashion accessory -- just a little added warmth without too much bulk. 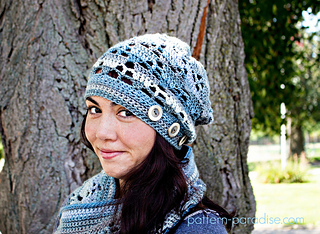 The stitch pattern makes for an interesting fashion accessory and the buttons add a touch of personality. 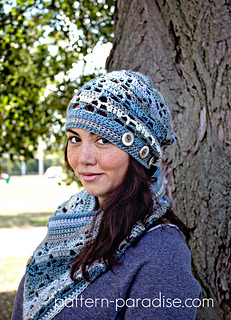 Pair it with the coordinating cowl too!